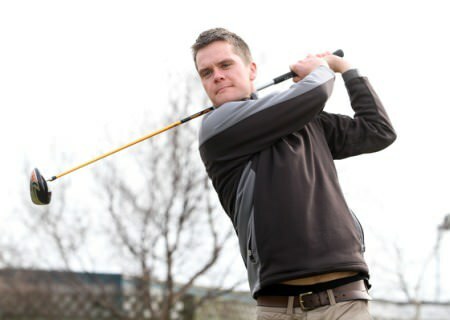 The Balbriggan man had four shots to spare over his nearest rivals on what was a perfect day for scoring at the North Dublin links. Brabazon, playing off a handicap of four, carded a one over par 73 gross on the Championship links, despite an early blemish at the difficult par-four fourth hole where he three-putted for a double bogey six. Birdies at the fifth and ninth holes same him turn for home in level par 36 and while he bogeyed the challenging par-four 17th, a closing par left the rest of the field scrambling for the minor places. Gus Fitzpatrick blasts out of a bunker at the second. 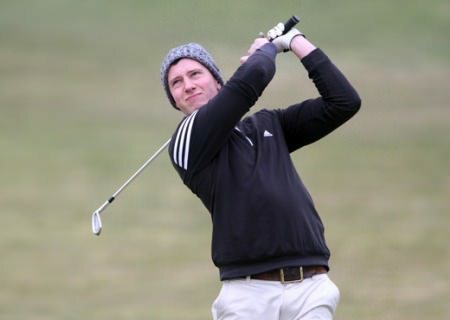 Photo Jenny Matthews/www.golffile.ieBarry Morris from the neighbouring Portmarnock Hotel and Golf Links was his nearest challenger and a closing back nine of 37 was enough to secure his second podium finish in the Hilary series, having earlier secured third spot in Seapoint. On a day of light breezes, the Castle’s Jim Mulready played excellent golf to the gross prize with a splendid 73. Royal Dublin’s Darragh O’Malley also shot a 73 to finish third, bouncing back from three bogeys around the turn with a strong finish. The Silver Medal Category for the best three gross scores is equally tight and looks like a straight fight between Irish Amateur Open Champion, Gavin Moynihan, and Hermitage scratch man Alan Dowling. The Hilary will celebrate its 60th birthday in Sutton on Friday April 19th with a shotgun start at 2.15 pm followed by dinner and presentation of all prizes. Team: D Curran, G Cooke, R Gregan, E Kelly 63. Clontarf’s Mark Brennan in full flow at Seapoint. 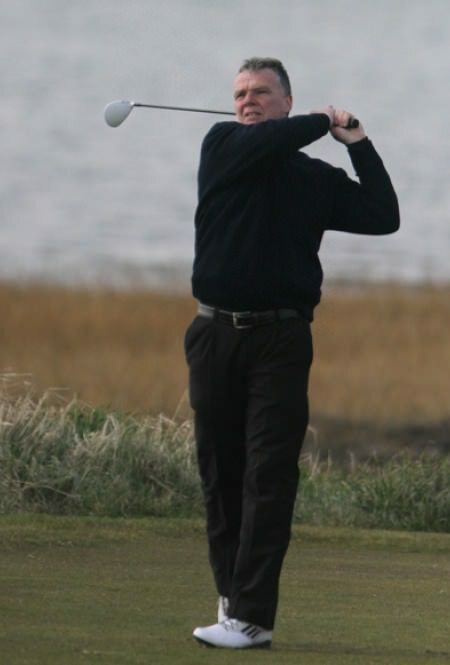 Photo Jenny Matthews/www.golffile.ieClontarf’s Mark Brennan might have failed to make a birdie but he kept his errors to a minimum to take top spot in the RaboDirect Hilary Golf Society outing at Seapoint. 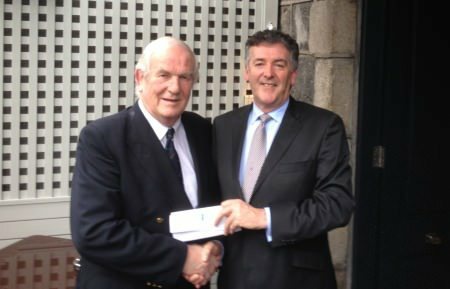 The Island’s Brendan Murray won the Hilary Golf Society outing at Royal Dublin. 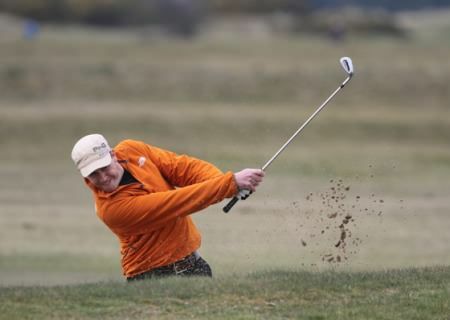 Photo Jenny Matthews/www.golffile.ieThe Island’s Brendan Murray cruised to a two-shot victory in the RaboDirect Hilary outing at Royal Dublin.